The dolphin was first seen swimming with a larger dolphin near Cocoa Beach High School. 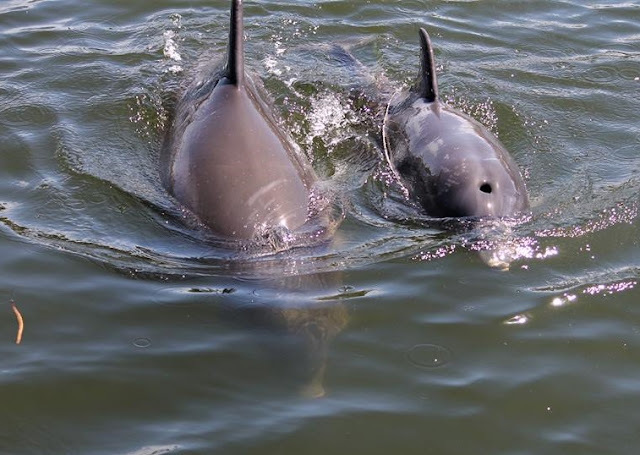 Another sighting of the dolphin pair was made later on Tuesday afternoon near some waterfront condominiums just north of the lagoon-end of Minuteman Causeway. 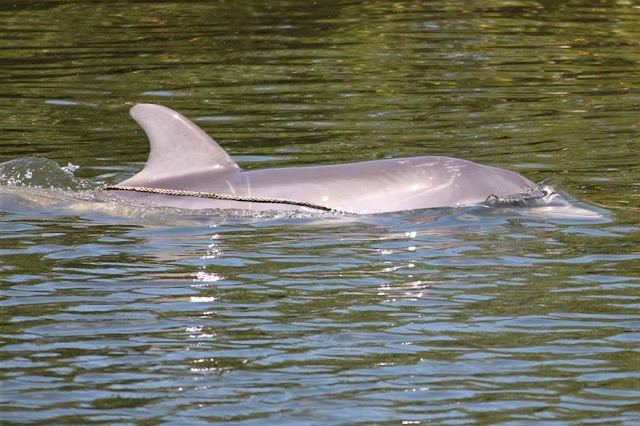 If you spot this entangled dolphin, call the Florida Fish and Wildlife Commission at 1-888-404-FWCC (3922) or the National Marine Fisheries Service Southeast Region Stranding Network 24-hour hotline at 1-877-WHALE HELP (1-877-942-5343).